DUBLIN CITY COUNCIL has led calls to have electric scooters banned from public roads and cycle paths. A report in today’s Irish Examiner quotes a spokeswoman from the local authority, who said the council believes the two-wheeled vehicles should not be used on Dublin’s streets. It has been argued that, like bicycles, scooters cannot be classed as mechanically propelled vehicles and therefore do not fall under normal traffic, licencing, tax, or insurance laws. But the neither the council or gardaí agree with this view because the scooters use an electric motor to propel their users. 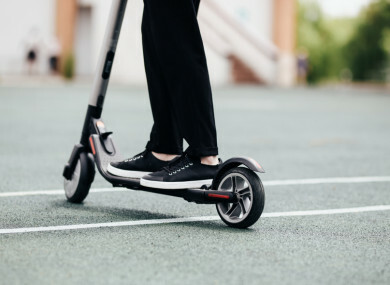 However, the Road Safety Authority says the scooters cannot be used on public paths, leaving users with nowhere else to use them but public roads. So today we’re asking: Should electric scooters be banned from public roads? Email “Poll: Should electric scooters be banned from public roads?”. Feedback on “Poll: Should electric scooters be banned from public roads?”.